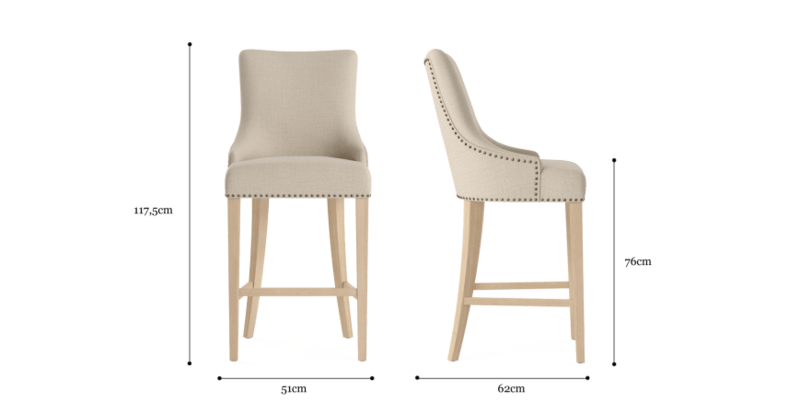 The Zoe Bar Stool is timeless and elegant. With clean lines and a smooth sweeping profile. 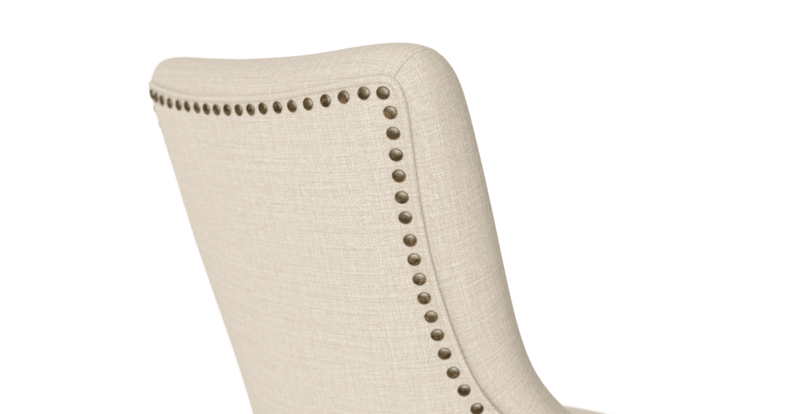 It’s part of our bestselling Zoe Collection. Style it with more matching designs. Comfort and style go hand in hand with the Zoe. 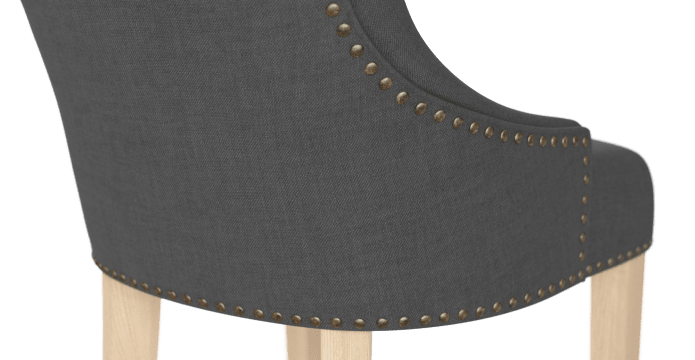 This bar stool has a backrest, with a cosy curved embrace. Just what you want for extended chats, dinners, or relaxing. 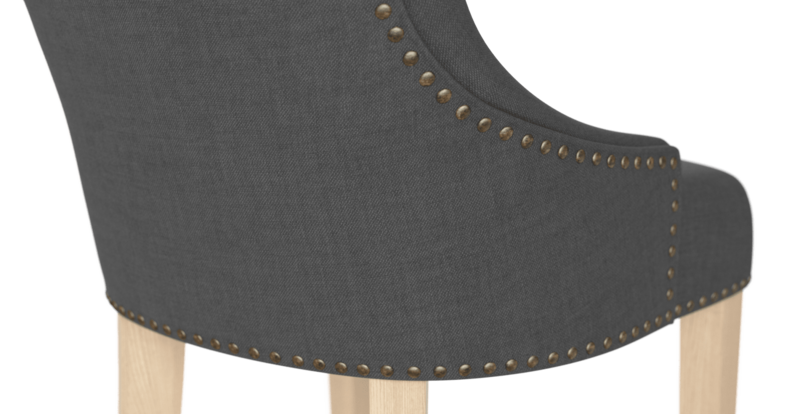 For more bar stool designs see our complete range. Step one: pick your fabric. Step two: pick your leg. Step three: watch your home transform. We’ve deliberately given you plenty of choice when it comes to picking your Zoe. Customise to your heart’s content. When it comes to design, Zoe goes the extra mile. Brass studs accent the back of the chair, for an added element of stylish detail. While the tested foam filling makes it oh so comfortable. The ease of shopping with you and the speed which my order arrive was extremely pleasing even with the crazy Christmas period. The product quality was exceptional and I have had numerous glowing comments. A great experience thank you. 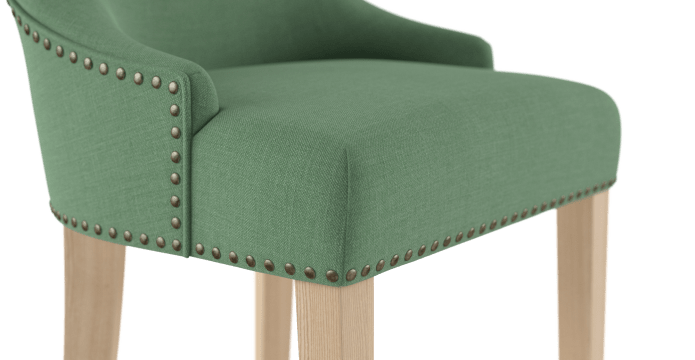 This product looks great with such an extensive range of fabrics. 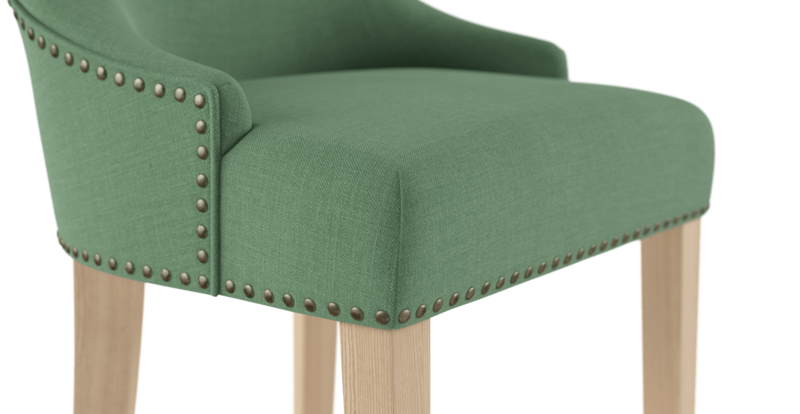 See, touch and feel our fabrics used on our Zoe Bar Stool. For Free! Simply select up to 3 fabrics and add them to your cart. Delivery is on us. Good news! Zoe Bar Stool is currently on display in our Alexandria Collingwood studio.